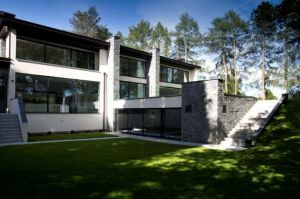 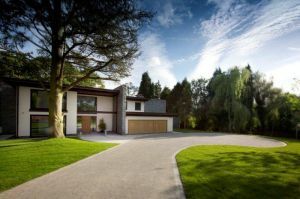 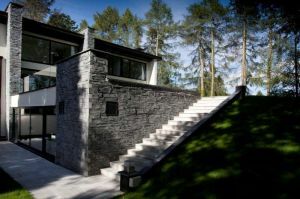 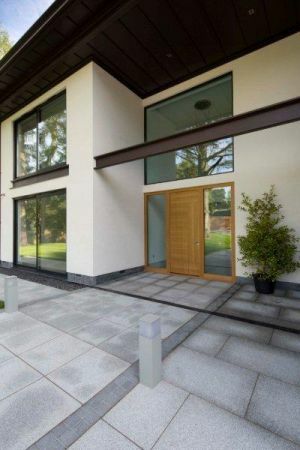 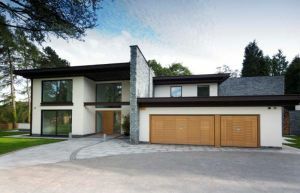 A new build modern luxury home in the heart of Cheshire. 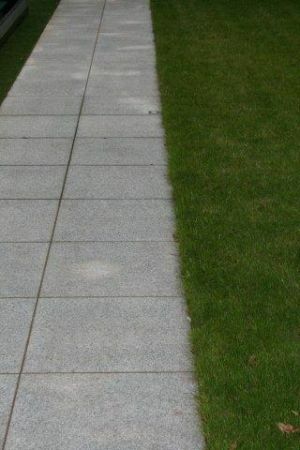 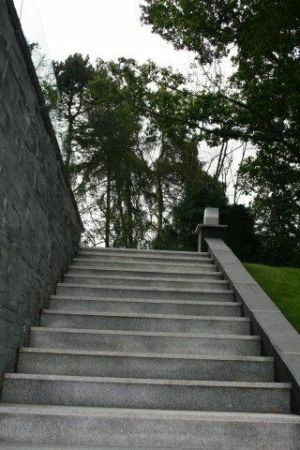 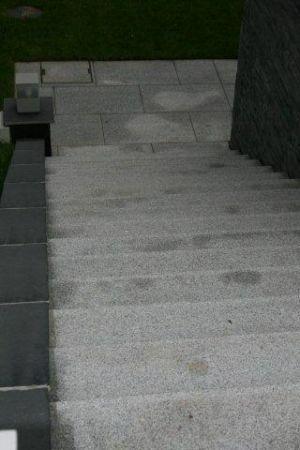 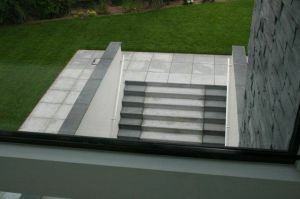 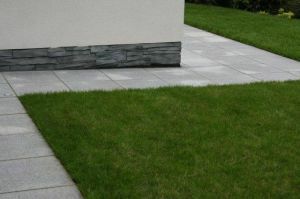 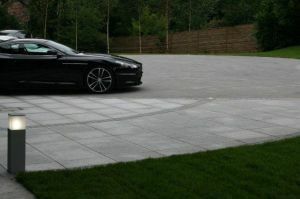 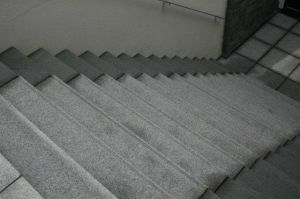 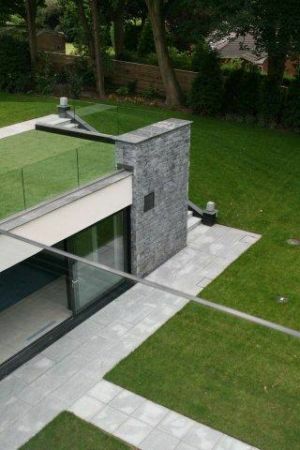 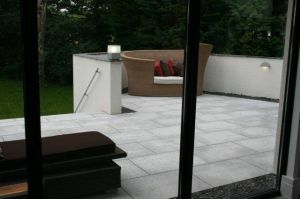 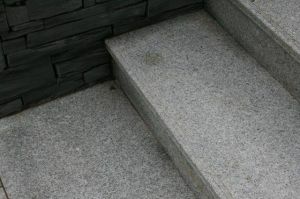 The grounds, entrance and patio were paved with our Ash Grey Flamed Granite paving. 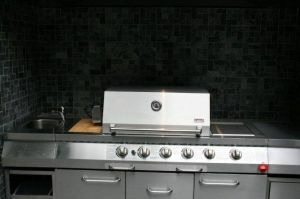 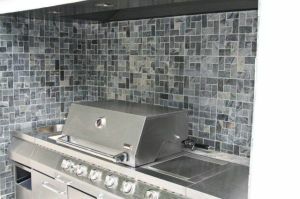 The BBQ are used our Silver Nickel Slate Mosaics as a backsplash. 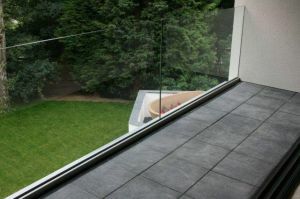 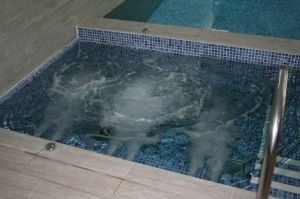 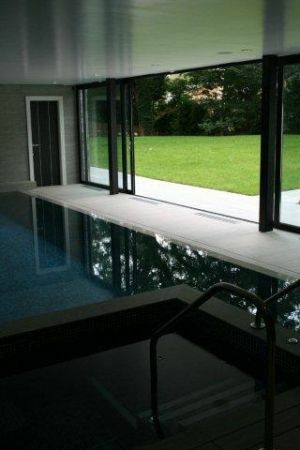 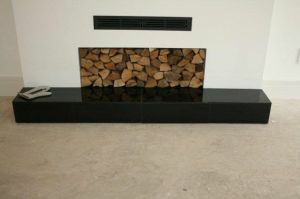 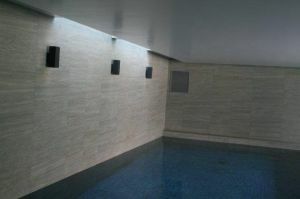 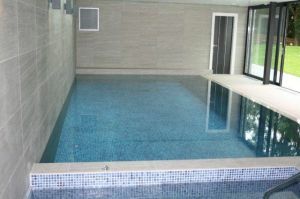 We also supplied tiles for the interiors, the bathrooms, fireplace and the swimming pool.